Internet access improved slightly though remained low during the coverage period (see Availability and Ease of Access). The government under former Prime Minister Hailemariam Desalegn responded to ongoing antigovernment protests with frequent internet shutdowns and blocks on social media, though access was restored in April 2018 under the new prime minister (see Restrictions on Connectivity). A few blocked websites became accessible in May 2018, while hundreds more were unblocked in June, reflecting the new government’s openness to critical voices and independent news (see Blocking and Filtering). Online self-censorship decreased palpably as citizens flocked to social media to participate in their country’s transition from authoritarianism (see Media, Diversity, and Manipulation). Following the resignation of Prime Minister Desalegn, the authorities imposed a six-month state of emergency that placed restrictions on certain online activities to quell antigovernment unrest (see Legal Environment). In a positive step, the ruling EPRDF party released hundreds of political prisoners, including imprisoned bloggers, before his resignation—a trend that new Prime Minister Abiy Ahmed continued. A few bloggers were arrested for short periods during the state of emergency (see Prosecutions and Arrests for Online Activities). Internet freedom in Ethiopia remained highly restricted during the coverage period but saw incremental improvements following the resignation of former Prime Minister Hailemariam Desalegn in February 2018 and the appointment of Abiy Ahmed to the seat in April. Positive developments were observed in growing access to the internet and censored content, decreasing online self-censorship, and the release of imprisoned bloggers. Antigovernment discontent and unrest has engulfed Ethiopia since 2015, when large-scale protests first erupted against the government’s plan to infringe on land belonging to the marginalized Oromo people. The protest movement spread through the country and evolved in 2016-2017 into unprecedented demonstrations seeking regime change and democratic reform. To suppress the unrest, the authoritarian government under Prime Minster Desalegn deployed heavy-handed tactics, including violently arresting protesters, silencing bloggers, enacting repressive laws, and censoring the internet, among other tactics. Popular social media platforms such as Facebook and Twitter used by citizens to mobilize were frequently blocked, when the entire internet was not taken offline altogether. The unrest reached a tipping point in early 2018 following a burst of renewed antigovernment protests in November 2017. In January and February, the ruling Ethiopian People's Revolutionary Democratic Front (EPRDF) stunned observers by releasing thousands of political prisoners, including blogger Eskinder Nega, who had been serving an 18-year sentence since 2012. Imprisoned bloggers convicted on terrorism charges were also eventually released, while outstanding charges against the critical Zone 9 bloggers were dropped. In another surprise move, Prime Minister Desalegn announced his resignation in February, leading to the appointment of Abiy Ahmed in April. In the interim, the authorities imposed a six-month state of emergency, which included restrictions on certain online activities, including banning the circulation of "any information that could cause disturbance or suspicion.” Mobile internet services were shut down nationwide for several days following Desalegn’s resignation in February. Since his appointment in April, new Prime Minister Abiy Ahmed has projected the image of a reformer, easing restrictions on the media and promising democratic reforms in his inaugural address. Under his short tenure, the internet has become more accessible, as networks were less disrupted and content became less censored. Citizens have flocked to social media to participate in conversations about their country’s transition from authoritarianism and to hold the new government accountable to promised reforms, resulting in a palpable decline in self-censorship online and off. While Ethiopian citizens have become optimistic about the direction their country is heading, repressive laws that have enabled authoritarianism remain on the books, including laws designed to constrain freedom of expression and enable unchecked surveillance. Internet access improved slightly though remained low during the coverage period, while the government responded to ongoing antigovernment protests with frequent internet shutdowns throughout the coverage period. Access was restored in April 2018 under the new prime minister, whose government has also announced intentions to liberalize the telecommunications sector. Ethiopia’s low penetration rates stem from underdeveloped telecommunications infrastructure, which is almost entirely absent from rural areas, where about 85 percent of the population resides. A handful of signal stations service the entire country, resulting in network congestion and frequent disconnection.5 In a typical small town, individuals often hike to the top of the nearest hill to find a mobile phone signal. Mobile internet prices increased slightly in the past year, from ETB 5 to ETB 7 (USD $0.25) per day for 25 MB of data or from ETB 3,000 to nearly ETB 4,000 (USD $140) per month for 30 GB. Nonetheless, the lower cost of the daily 25 MB package is extremely limited considering a standard Google search uses up to 79 KBalone. Regularly loading websites containing 1 GB of multimedia content could cost USD $9 a day.11 Ethiopians can spend an average of USD $100 per month for limited mobile or fixed wireless internet access. Better quality services in neighboring Kenya and Uganda cost less than USD $30 a month. Most Ethiopians still rely on cybercafés, universities, and government offices for internet access. Cybercafé access costs ETB 7-10 (USD $0.30-0.35) for an hour of access. However, since internet cafés are not as accessible outside urban areas, rates in rural cybercafés are higher. In addition, digital literacy rates are generally low. Frequent power outages are common, even in the capital Addis Ababa, making internet service unreliable. Internet shutdowns were a frequent occurrence in Ethiopia throughout 2017 and 2018, as the government continued to disrupt network connectivity to stifle antigovernment protests and online criticism. The Ethiopian government’s monopolistic control over the country’s telecommunications infrastructure via EthioTelecom enables it to restrict information flows and access to internet and mobile phone services. As a landlocked country, Ethiopia has no direct access to submarine cable landing stations; thus, it connects to the international internet via satellite, a fiber-optic cable that passes through Sudan and connects to its international gateway, and the SEACOM cable that connects through Djibouti to an international undersea cable. All connections to the international internet are completely centralized via EthioTelecom, enabling the government to cut off the internet at will. The Ethiopian Telecommunications Agency (ETA) is the primary regulatory body overseeing the telecommunications sector. In practice, government executives have complete control over ICT policy and sector regulation.32 The Information Network Security Agency (INSA), a government agency established in 2011 and controlled by individuals with strong ties to the ruling regime,33 also has significant power in regulating the internet under the mandate of protecting the communications infrastructure and preventing cybercrime. A few blocked websites became accessible in May 2018, while hundreds more were unblocked in June, reflecting the new government’s openness to critical voices and independent news. Online self-censorship decreased palpably as citizens flocked to social media to participate in their country’s transition from authoritarianism. During antigovernment protests throughout 2017, social media and file-sharing platforms such as Facebook, Twitter, WhatsApp, and Dropbox were repeatedly blocked, including during student protests in December.36 The blocks on social media first impacted networks in the Oromia region but later spread to other regions,37 and eventually manifested in a shutdown of entire internet and mobile networks for days and months at a time (see Restrictions on Connectivity). Unrelated to protests, the government has also been known to block access to social media to prevent cheating during university examinations.38 Social media and communications platforms have been accessible since internet networks were restored in April 2018. Later, on June 22, 2018 (after this report’s coverage period), the Ethiopian government reported that it had unblocked a list of 264 websites, which was verified by the Open Observatory of Network Interference (OONI).39 Websites that have become accessible include those of U.S.-based diaspora satellite television stations, Ethiopian Satellite Television (ESAT), and the Oromo Media Network (OMN). Ayyantuu.net and Opride.com, prominent websites also known for their reporting on the protests, have become accessible as well. Politically objectionable content is often targeted for removal, usually by way of threats from security officials who personally seek out users and bloggers to instruct them to take down certain content, particularly critical content on Facebook. The practice suggests that at least some voices within Ethiopia’s small online community are being closely monitored. Media and freedom of expression remained limited throughout 2017, though citizens began to feel less fearful in early 2018 when former Prime Minister Desalegn began releasing hundreds of political prisoners in January before resigning in February. Self-censorship continued to decrease palpably through 2018, as the government under new Prime Minister Abiy Ahmed instituted progressive reforms and eased restrictions on the media. Citizens flocked to social media to participate in conversations about their country’s transition from authoritarianism and to hold the new government accountable to promised reforms. Nonetheless, various constraints still impede the development of diverse media and perspectives online. Lack of adequate funding is a significant challenge for independent online media in Ethiopia, as fear of government pressure dissuades local businesses from advertising with politically critical websites. A 2012 Advertising Proclamation also prohibits advertisements from firms “whose capital is shared by foreign nationals.”43 The process for launching a website on the local .et domain is expensive and demanding,44 requiring a business license from the Ministry of Trade and Industry and a permit from an authorized body.45While the domestic Ethiopian blogosphere has been expanding, most blogs are hosted on international platforms or published by members of the diaspora community. 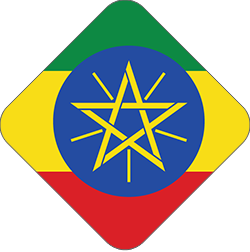 Despite Ethiopia’s low levels of internet access, the former government was known to employ an army of trolls to distort Ethiopia’s online information landscape.46 Opposition groups, journalists, and dissidents used the contemptuous Amharic colloquial term, “Kokas,” to describe the progovernment commentators.47Observers say the Kokas regularly discussed Ethiopia’s economic growth in favorable terms and posted uncomplimentary comments about Ethiopian journalists and opposition groups on Facebook and Twitter. In return, they were known to receive benefits such as money, land, and employment promotions.48 It is uncertain whether the new government has continued using the same online manipulation tactics. Meanwhile, the spread of unconfirmed information, the phenomenon of fake news, and the growing problem of hate speech in the context of ethnic clashes have had a major chilling effect on the credibility of legitimate online information, particularly in response to the flood of rumors about the power struggle within the ruling Ethiopian People’s Revolutionary Democratic Front (EPRDF) coalition that swarmed social media right before the appointment of Abiy Ahmed as prime minister in February 2018. Despite oppressive conditions caused by poor access and a hostile legal environment, online activism has gained considerable momentum and influence over the past few years. Notably, social media and communications platforms have been integral to the mobilization of widespread antigovernment protests in the Oromia and Amhara regions since November 2015,49 enabling activists to post information about the demonstrations and disseminate news about police brutality as the government cracked down on protesters.50 Activists have also used social media platforms to consistently report the arrests, trials, and releases of political prisoners. The use of such tools to fuel the protest movement led the government to block access to several platforms during the first half of the coverage period and shut down internet and mobile networks altogether. Repeated internet shutdowns and blocks on social media platforms also hindered mobilization efforts (see Blocking and Filtering and Restrictions on Connectivity). Following the resignation of Prime Minister Desalegn in February 2018, the authorities imposed a six-month state of emergency that placed restrictions on certain online activities to quell antigovernment unrest. In a positive step, the ruling EPRDF released hundreds of political prisoners, including imprisoned bloggers, before the prime minister’s resignation—a trend that new Prime Minister Abiy Ahmed continued. However, a few bloggers were arrested for short periods during the state of emergency, which was eventually lifted in June 2018. To quell escalating antigovernment protests that forced the resignation of the country’s prime minister, the government imposed a six-month state of emergency on February 17, 2018 that included restrictions on certain online activities, including banning the circulation of "any information that could cause disturbance or suspicion. "51 Like the previous state of emergency imposed in October 2016, which lasted until August 2017, the authorities also criminalized accessing or posting content related to the protests on social media, as well as efforts to communicate with “terrorist” groups, a category that included exiled dissidents. Emergency rule also undermined fundamental rights, banning unauthorized protests and allowing the authorities to arbitrarily arrest and detain citizens without charge. In a positive step, the new Prime Minster Abiy Ahmed, who took office in April 2018, ended the state of emergency in June, two months early.52 The move was a reflection of easing tensions in Ethiopia. Fundamental freedoms are guaranteed for Ethiopian internet users on paper, but the guarantees have been routinely flouted in practice under authoritarian rule. The 1995 Ethiopian constitution provides for freedom of expression, freedom of the press, and access to information, while also prohibiting censorship.53These constitutional guarantees are affirmed in the 2008 Mass Media and Freedom of Information Proclamation, known as the press law, which governs the print media.54 Nevertheless, the press law also includes problematic provisions that contradict constitutional protections and restrict free expression, such as complex registration processes for media outlets and high fines for defamation.55 The Criminal Code also penalizes defamation with a fine or up to one year in prison.56 As of September 2018, these laws remain on the books under the new prime minister. Several laws designed to restrict and penalize legitimate online activities and speech are also still in place. Most alarmingly, the 2012 Telecom Fraud Offences Law extends the violations and penalties defined in the 2009 Anti-Terrorism Proclamation and Criminal Code to electronic communications, which explicitly include both mobile phone and internet services.57 The antiterrorism legislation prescribes prison sentences of up to 20 years for the publication of statements that can be understood as a direct or indirect encouragement of terrorism, which is vaguely defined.58 The law also bans VoIP services such as Skype59 and requires all individuals to register their telecommunications equipment—including smartphones—with the government, which security officials typically enforce at security checkpoints by confiscating ICT equipment if the owner cannot produce a registration permit, according to sources in the country. Government surveillance of online and mobile phone communications has been pervasive in Ethiopia and has not been reformed since the new prime minister came into office in April 2018. Ethiopia’s telecommunications and surveillance infrastructure has been developed in part by investments from Chinese telecommunications companies with potential ties to the Chinese government, creating strong suspicions that the Ethiopian government has implemented highly intrusive surveillance practices styled after the Chinese system. These suspicions were reinforced in January 2018, when African Union officials accused China of hacking into its headquarters’ servers and secretly transferring data files to servers in Shanghai over the course of five years, from 2012 to 2017.73 The state-owned China State Construction Engineering Corporation had built the AU’s headquarters in Addis Ababa and connected the building’s telecommunication infrastructure through Ethiopia’s state-run EthioTelecom. A 2015 Human Rights Watch report revealed strong indications that the Ethiopian government had deployed a centralized monitoring system developed by the Chinese telecommunications firm ZTE to monitor mobile phone networks and the internet.74 Known for its use by repressive regimes in Libya and Iran, the monitoring system enables deep packet inspection (DPI) of internet traffic across the EthioTelecom network and has the ability to intercept emails and web chats. 8 According to tests by Freedom House consultant in 2016. 47 The term “Koka” is a blend of two words: Kotatam and cadre. Kotatam is a contemptuous Amharic word used to imply that someone is a sellout who does not have respect for himself or herself. 55 “The Legal Framework for Freedom of Expression in Ethiopia,” Article 19, accessed September 25, 2018, http://bit.ly/1Pl0f33. 59 The government first instituted the ban on VoIP in 2002 after it gained popularity as a less expensive means of communication and began draining revenue from the traditional telephone business belonging to the state-owned EthioTelecom. In response to widespread criticism, the government claimed that VoIP applications such as Skype would not be considered under the new law, though the proclamation’s language still enables the authorities to interpret it broadly and at whim. 62 “Computer Crime Proclamation No. 958/2016, (Article 14)” Federal Negarit Gazette, July 7, 2016, https://bit.ly/2xKRJYp ; “Text of Ethiopia’s draft Computer Crime proclamation,” Horn Affairs, May 9, 2018, https://bit.ly/2R8dV6L. 67 Sella Oneko, “Ethiopia releases high profile political prisoners,” DW, February 14, 2018. 75 “They Know Everything We Do,” Human Rights Watch. 76 “They Know Everything We Do,” Human Rights Watch, page 52. 84 Endalk Chala, “Ethiopia Locks Down Digital Communications in Wake of #OromoProtests.” Global Voices, July 14, 2016, https://bit.ly/2Qh865L. 90 Bill Marczak et al., “CHAMPING AT THE CYBERBIT,” Citizen Lab, December, 6, 2017; Don Deibert, “EVIDENCE THAT ETHIOPIA IS SPYING ON JOURNALISTS SHOWS COMMERCIAL SPYWARE IS OUT OF CONTROL,” Wired, December 6, 2017.